If the fish is still frozen when it shows up and that’s the meal you choose on the first night, throw it in the microwave to defrost for a few minutes or the cooking time will be off. It’ll sear too much and cook too little. This ended up right on the edge. 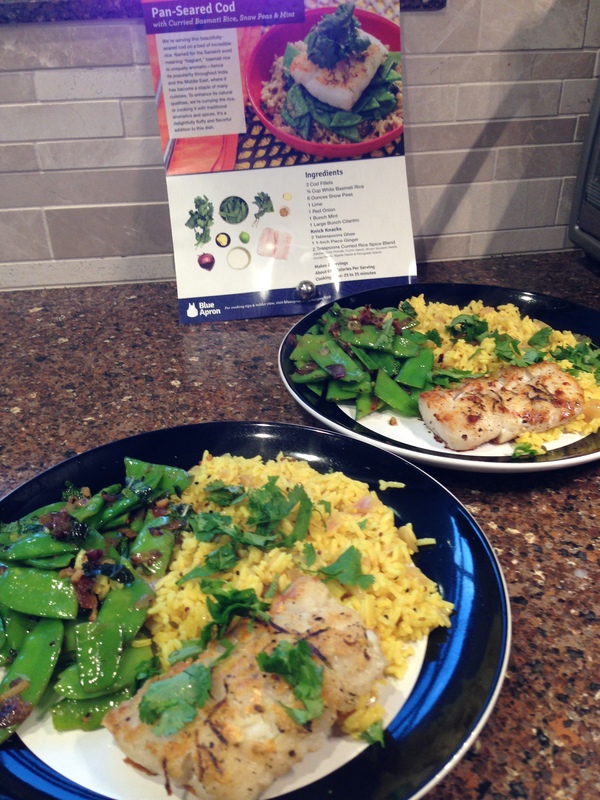 Loved the Curried Basmati Rice. At first I was taken aback by the amount I spooned onto the plate, but we both ate every bite. If it breaks while I’m stripping it, it wasn’t tough enough to bother with. I don’t have much to say about this except this: Who knew you could make a pesto sauce from arugula? I didn’t, that’s for sure. But then, I didn’t know anything when I started this journey so that’s no surprise. 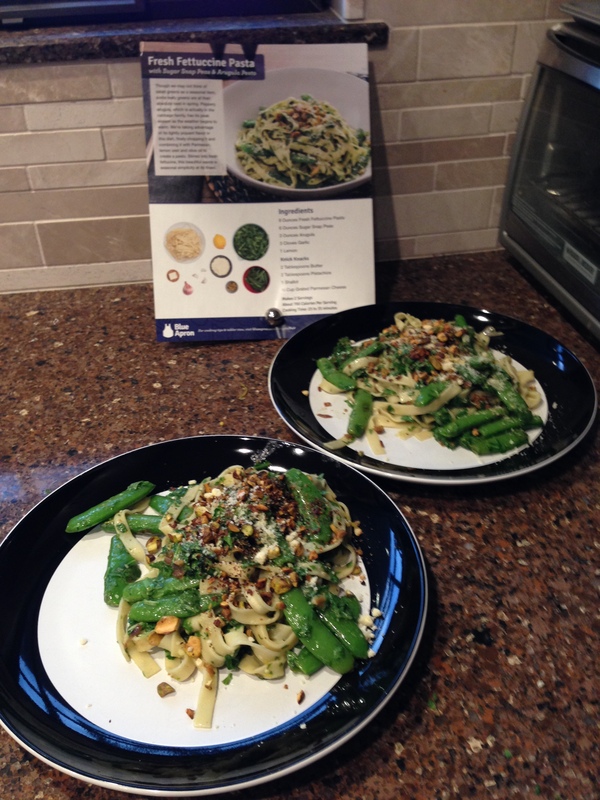 The chopped pistachios on top added a wonderful flavor, texture and character. I didn’t have high hopes for this one. And as it turned out, I didn’t have time to prepare all three meals this week. Luckily, several of my colleagues at work have become Blue Aproners. One of them had prepared this meal earlier in the week, loved it, and was happy to take it off my hands. He now owes me lunch and nothing went to waste. I think I’ll start a BA swap group amongst my colleagues and local FB friends! If it’s so weak that it can’t survive my best effort to strip it, it’s tender enough to eat. Rich and I have become nose-blind to the dog smell in our house. It sure is a pleasant change to smell curry or something equally fragrant for a day or two after we cook. 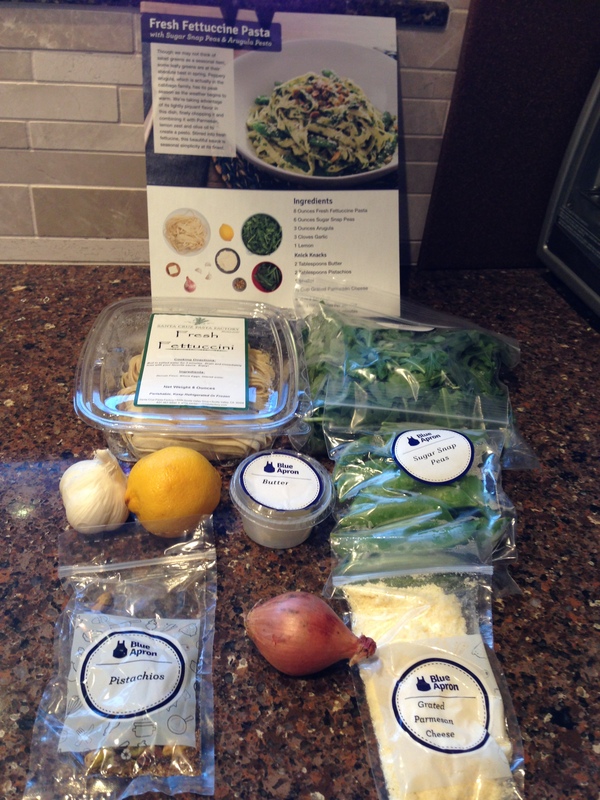 Sonoma County Blue Apron swap group – who’s in? Next up, Weeks 8 and 9! 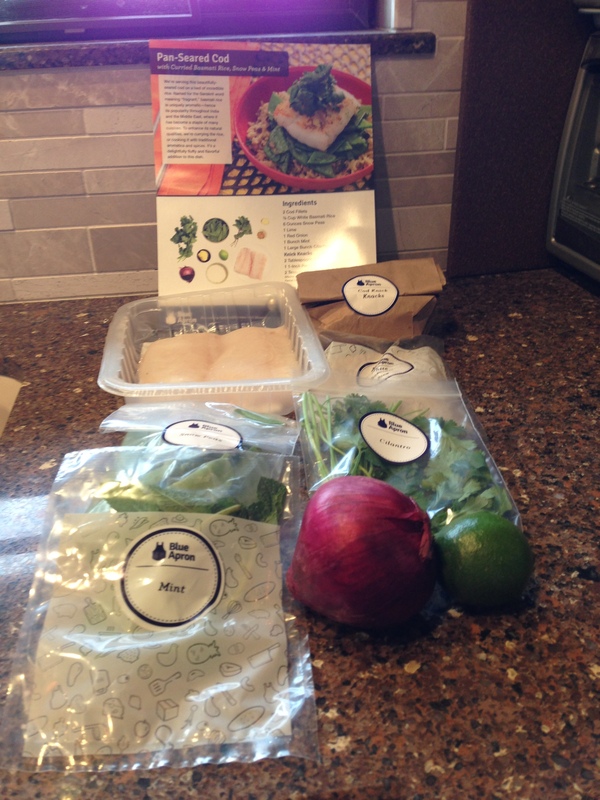 This entry was posted on Wednesday, June 3rd, 2015 at 8:21 pm and is filed under Blue Apron - Learning to Cook. You can follow any responses to this entry through the RSS 2.0 feed. You can skip to the end and leave a response. Pinging is currently not allowed.